A building can often be more than a mere amalgamation of bricks and mortar. Beyond providing shelter, it can also call forth a strong sense of shared experiences and values. This is especially true when that building is a house of worship with deep roots in its community. It was with this awareness that South Haven Baptist Church contacted Paragon 360 to explore a possible sanctuary renovation. A dynamic, active church with a missionary outreach that extends halfway around the world, South Haven wanted to give its sanctuary an updated look whilst still preserving its traditional character. 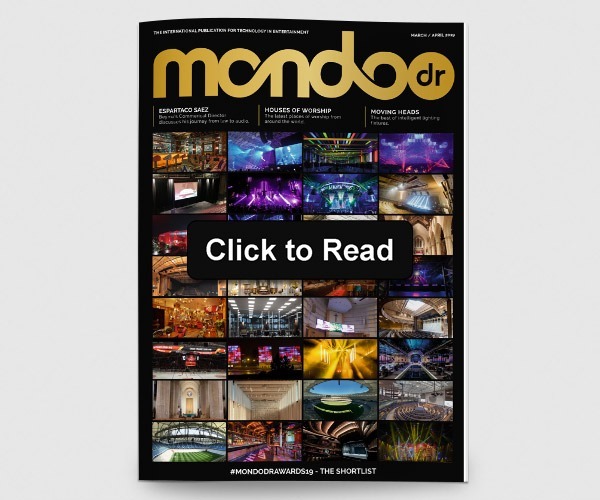 Paragon 360 accomplished this with a renovation project that included the installation of customised scenic elements fabricated by the company, a new audio system and LED lighting that features a collection of COLORdash fixtures from CHAUVET professional. As a case in point, the church wanted to keep its dark wood ceiling, which had long been a prominent and valued feature of the building. Paragon 360 used custom-made beam brackets to rig 90ft of black powder coated truss on the ceiling, allowing it to fly overhead stage lights without upsetting the room’s aesthetic balance. Lighting was used to accent many of the new scenic elements in the sanctuary, weaving them more tightly into the renovated room’s overall design. For example, Paragon 360 installed compact COLORdash Accent Quad RGBA LED lights inside each of the 14 wall sconces on the columns that lined the room, seven to each side. The color mixing capabilities of these fixtures allow South Haven to change the atmosphere in the room to fit different services and special events. These subtle mood changes are made without worshippers actually seeing the fixtures since they are mounted inside the sconces. 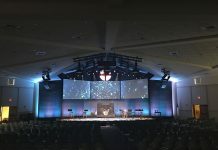 As part of its renovation project, Paragon 360 gave the new sanctuary stage added color by installing 14 COLORdash Par-Hex 12 fixtures overhead. 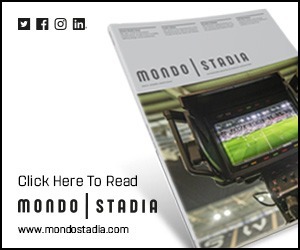 Used for back and top lighting, the fixtures engender a warm inviting look on stage and highlight the aesthetics of the surrounding area. 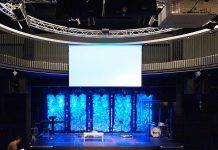 The versatile RGBAW+UV LED Par-Hex 12s fill a variety of roles at the church, projecting a rainbow of rich saturated colours as well as a variety of whites, plus UV. Their flicker free operation makes them well-suited for lighting broadcast services and their intense output gives the church a wide range of lighting options. Plus, as LED lights, they reduce heat and energy costs. 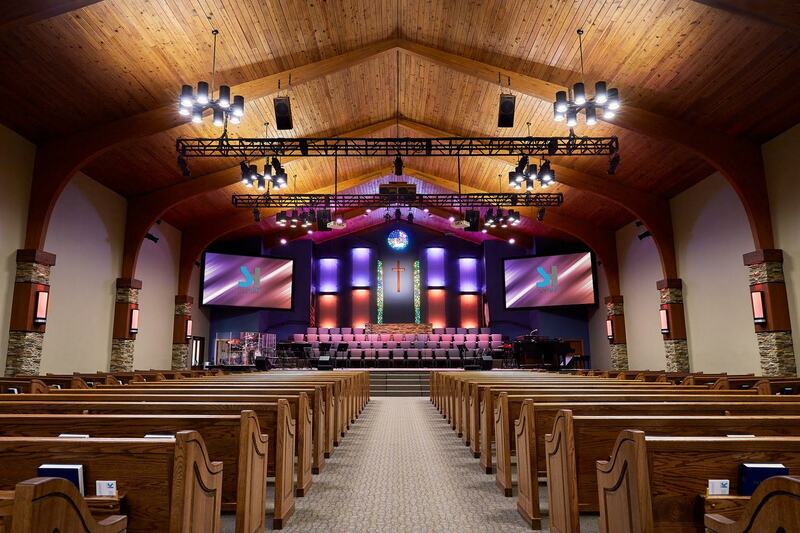 In short, the new fixtures over the church’s sanctuary stage represents the latest in lighting technology. 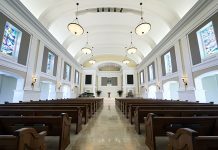 However, thanks to Paragon 360’s adroit design, they remain unobtrusive and don’t disturb the room’s aesthetics, which gives South Haven Baptist exactly what it wanted when the renovation project started, the best of old and new.